WHISTLER, B.C.—A woman in British Columbia has been fined nearly $500 for traffic violations after she reported another motorist’s driving to police. Staff Sgt. Paul Hayes says Whistler RCMP received a complaint last July from a woman who said a driving school’s vehicle was travelling well below the posted speed limit on Highway 99, the Sea-to-Sky Highway. Officers investigated and found video footage that showed the woman, not the student driver, violating several traffic laws, including using a cellphone to take photos of the other vehicle while she was driving. Hayes says the woman was issued two tickets and notes it was likely not the outcome she had anticipated. Court records show Joanna Harrington was charged with one count of changing lanes over a solid line and one count of using a mobile device while driving, infractions that come with fines of $109 and $368 respectively. Harrington declined comment to The Canadian Press, but in a statement to CBC News she said she was wrong to use her cellphone to document the driving school car, and in overtaking the vehicle before the solid white line ended. Harrington was due in court on March 12, but her statement says she missed the appearance because she didn’t realize an attempt to postpone the court date had been unsuccessful. But driving instructor Todd McGivern said he was simply teaching his student, a woman in her 20s, how to safely respond to tailgating. 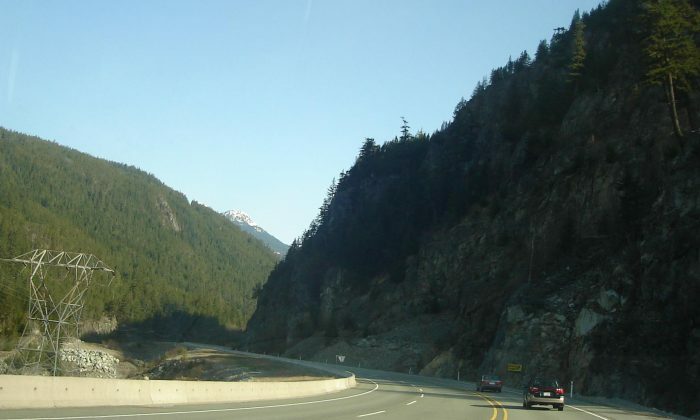 McGivern said it would not have been safe for the student to pull over because shoulders on the stretch of highway between Pemberton and Whistler are narrow and often filled with gravel. Instead, he instructed the student to slow down slightly then increase her speed back to the posted limit in an attempt to put safe distance between the vehicles. The longer they refused to pull over, the more agitated the other driver became, McGivern said. “She’s honking her horn, waving her arms around, flashing her lights, using her turn signals, even, to tell us to get off the road,” he said. The driving school’s car was equipped with front and rear cameras, and McGivern later turned video footage of the incident over to police. Hayes said the incident is a reminder for all drivers to exercise patience behind the wheel.